at Overton USA Hospital of inflammation of the brain. George, John and Stephen Penn were brothers and sons of John Penn and Elizabeth Day, grandsons of Stephen Penn and David Day. 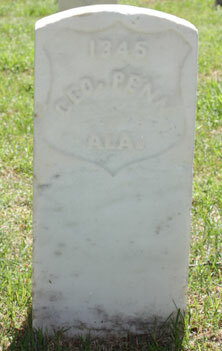 They were cousins to James, Pleasant and Richard Penn who also served in this regiment.